The Russian military says that over 3,000 Syrians have returned to their homes over the past week. Col. Gen. Mikhail Mizintsev said Thursday that 2,180 internally displaced people and 937 refugees have come home during the past week. Mizintsev spoke at an official meeting focusing on coordination of efforts to encourage the return of refugees. 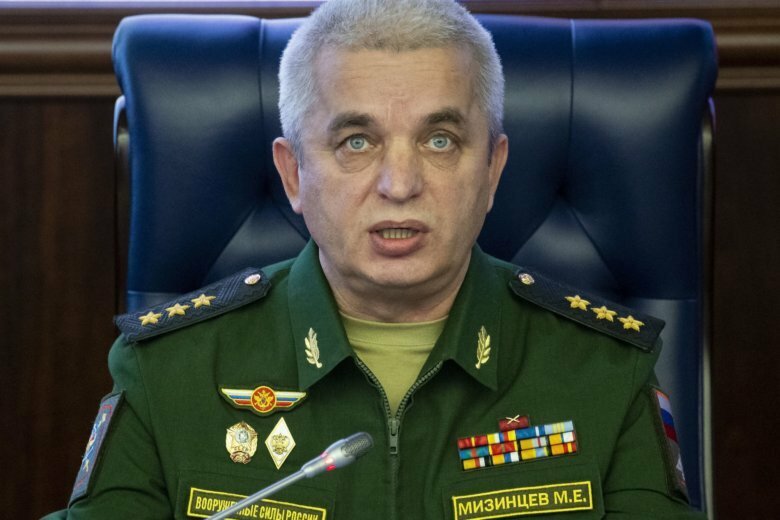 The Russian general said a massive work is under way across Syria to repair vital infrastructure, including 126 schools, 92 hospitals and 105 electric power units. Mizintsev said a United Nations convoy of 600 vehicles is expected to soon move into Syria from Jordan, carrying food and medicine. At the same time, he accused unspecified foreign nations of trying to hamper the return of Syrians who fled to other countries by claiming that Syria remains unsafe. A top U.N. humanitarian aid official for Syria says he sees “great potential for a lot of fighting” in rebel-held Idlib province despite an accord between Russia and Turkey that has delayed a military offensive. Jan Egeland says “it’s not over” and that air raids and ground offensives are likely to continue against U.N.-listed terror groups whose fighters live near civilians. Israel’s air force chief is flying to Moscow to brief Russian President Vladimir Putin on the incident over Syria that led to the downing of a Russian reconnaissance plane. Israeli Prime Minister Benjamin Netanyahu has offered to share data with Russia on what was happening in the sky over Syria that day and dispatched the Israeli air force chief to Moscow. The official is due to arrive in Moscow on Thursday.